Explore Activities Related to Indians in "Seven Vagabonds"
Explore Activities Related to "The Seven Vagabonds"
1. This activity was created by Dr. Doug Rowlett from Houston Community College System, Southwest Campus, Stafford, TX. In nineteenth-century Salem the frontier was a distant place only to be read about by most inhabitants, and interactions with living Native Americans were few and far removed. The occasional Native American visitor to Salem had become by Hawthorne's time a quaint relic, more curiosity than threat in most people's minds. However, residents did read about them in the newspapers and in popular books and articles and were certainly aware of their place in the history of New England, and there were still a few people alive during Hawthorne's early years who could recount old tales from previous generations about "Indian depredations." While Hawthorne never wrote the kinds of Indian-centered tales that Fenimore Cooper did, a close examination of his stories and novels will show he did make more use of Native Americans than is at first apparent. Read Hawthorne's "The Seven Vagabonds" and consider his thematic treatment of "vagabondage," in particular the repulsion and attraction he feels with regard to the tension between duty versus freedom. 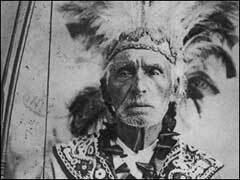 Hawthorne said at age 33 that "Our Indian races having reared no monuments, like the Greeks, Romans, and Egyptians, when they have disappeared from the earth their history will appear a fable, and they misty phantoms." . In other communications to his contemporaries, he discusses or alludes to his attitudes toward duty and freedom . Can his ambiguous attitude toward duty versus freedom be found in other short stories and novels (particularly The Scarlet Letter)? What does his attitude say to you about the place of the artist in the world and the conflict between his duties and responsibilities and the role of creativity and spontaneity in his life? Finally, explain the last sentence of "The Seven Vagabonds": "Finally, with a pensive shadow thrown across my mind, yet emulous of the light philosophy of my late companions, I joined myself to the Penobscot Indian, and set forth towards the distant city."